Greetings to all of you attending the Green Party of New Jersey’s 15th Annual Convention. My name is Ann Link and I’m a member of the Green Party of New York State. This is my 16th year with the Green Party. I’d like to thank to Gail Dixon for organizing this panel focusing on women in the Green Party in honor of National Women’s History Month. I founded the Green Party Speakers Bureau in 2007 so that Green Party candidates could continue to promote the Green Party and its values after their campaigns ended and keep their speaking skills sharp. I’m also Secretary of the Green Senatorial Campaign Committee, which promotes and raises money for Green Party congressional candidates. What’s the current situation for women in office in the United States and in the Green Party? As of 2008, the U.S. ranked 68th out of 134 nations worldwide (worse than half the countries surveyed) in representation by women. Only 17.2% of the members of the U.S. House of Representatives are women, and only 17 of the 100 members of the U.S. Senate are women (13 of whom were appointed). In 2010, 79 women ran for office on the Green Party line out of a total of 355, which is 22.3%. Clearly, the Green Party has a long way to go toward 50% equity. Numerous studies have shown that countries with a high proportion of women in office have better economic opportunities and protections for women and children. However, electing women to office and appointing them to positions of power is not the only answer, as House Minority Leader Nancy Pelosi and Secretary of State Hillary Clinton’s support for the wars on Iraq, Afghanistan, and now Libya, illustrates. The Green Party offers women a unique opportunity to make a meaningful impact with a new kind of politics. The Green Party platform, which is centered on the four pillars of ecology, social justice, grassroots democracy, and nonviolence, offers a road map for a better world. I’d like to speak about one of the inspiring women who ran for the U.S. Senate in 2010. Natasha Pettigrew walked into the office of the co-chair of the Maryland Green Party and asked if the party would back her candidacy for the U.S. Senate. The answer was “Yes.” She took a leave of absence from her studies at the University of Miami School of Law and ran with the campaign slogan “Natasha for Senate: Running for the People!” . Her issues included support for sustainable energy, support for community banks, ending the death penalty, and ending the wars in Iraq and Afghanistan. Tragically, Natasha died in the middle of her campaign from injuries sustained after being struck on her bike by an SUV two days previous as she trained for a triathlon. The driver left the scene as Natasha lay critically injured and drove four more miles home with Natasha’s bike wedged under her car before she called the police. The driver has still not been charged in the accident. Natasha’s mother, Keniss Henry, took Natasha’s place to carry her campaign to fruition, and received over 20,000 votes. Since then, Ms. Henry has been lobbying the Maryland state legislature to adopt stronger safety laws to protect bicyclists and is pushing for tougher penalties for drivers who hit them. How can we encourage more Natasha Pettigrews to run for office? 1. 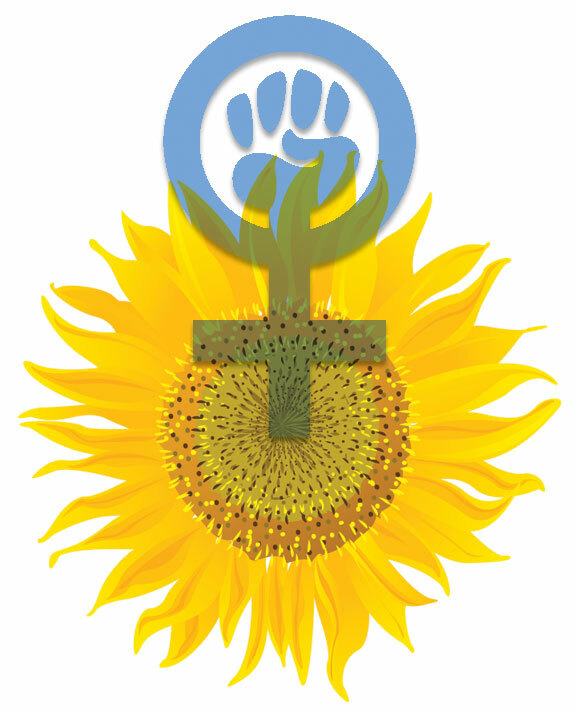 First, women must organize themselves inside and outside of the Green Party. Being organized provides valuable experience for women and gives them a power base on which to build if they decide to run for office. 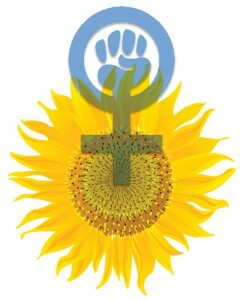 The national Green Party Women’s Caucus invites women to participate. 2) Second, Green Parties at all levels must seek anti-oppression training. This training is designed to make people aware of the systems of privilege and oppression whereby a privileged group benefits at the expense of people without such privileges. Without an awareness of these systems, our part in maintaining them, and a concentrated effort to change ourselves, Green Party candidates will remain predominantly white and male. 3) Third, the Green Party must make a sustained effort to recruit women to run for office — for internal party positions as well as government office. Women come to the electoral table with additional hardships: lack of political experience, less socialization for public speaking and self-promotion, and less time to devote to campaigning because of family, work and party obligations. I’ve found as I recruit for the Speakers Bureau that men on average are more likely to make the initial approach and are more confident in their ability to fulfill the requirements. Women on average require more contacts before considering it and more encouragement regarding their potential for success. This does not relate to ability, however, because once in the position, women do as well or better than men. 4) Fourth, the Green Party must set clear and equitable rules for candidate selection, and then follow those rules. When the rules of the game are clear, it’s possible for women to develop strategies to improve their representation. When the process is dominated by patronage, rules can be vague and shifting and decisions made by a limited number of persons. Some of the unequal treatment that the Green Party candidates for the 2008 presidential nomination experienced during the period leading up to the national convention related to this issue. Rules were put into place but were not followed consistently with every candidate. 5) Fifth, the Green Party must support electoral systems that support women. Here are several examples: a) One way is by supporting proportional representation systems for elections. Of the 10 highest-ranking countries in terms of women’s representation, all utilize proportional representation electoral systems. b) Another way is by reserving a certain number of party offices and candidate positions for women. My state Green Party in New York requires a certain percentage of party officers to be women. c) Yet another way is by utilizing instant runoff voting for internal Green Party elections. Instant runoff voting levels the playing field for women because it favors candidates who run positive campaigns and allows voters to make better choices without fearing the worse candidate will win. 6) Sixth, and finally, Green Parties must give equal financial support and access to party resources to the campaigns of women, regardless of their chance for winning. The resource issue came up during our decision-making process for allocating funds raised by the Green Senatorial Campaign Committee. We debated over whether to give all the money to a few male Senate candidates who were polling well and getting a lot of media attention. We decided to divide it up equally among all the Senate candidates, including three female candidates, who demonstrated viability by having a website, treasurer, and making visible efforts to campaign. It’s vital that women are at the table when these decisions are made. In closing, the Green Party offers a unique opportunity for women to make a meaningful difference in how our world is managed. I hope all women in the Green Party will seriously consider running for office, and that they will get full support from the Green Party in doing so. Women have the strength, the life experience, the integrity, the leadership, and the vision to make the political changes necessary for our country and the world. 6 Comments on "Women & the Green Party"
please explain in detail what this means. Thank you, Ann, for this clear and insightful take on women in politics and the Green Party. I especially support a move toward anti-oppression training. While I don’t have solid statistics (like in your fabulous third paragraph), I have noticed that in progressive meetings men tend to talk over women, but not other men or tell the group what “you” need to do instead of making a suggested solution about what “we” can do and offering to take a part in implementing that solution. It would be nice to see us get our own houses in order so we can foster strong feminist leadership from both genders on all issues. Thanks for a very good talk, Ann, especially given that it is very concise. in society at large, especially in employment, and vice versa. office to ask the proportion of males in these jobs in NYC. Answer: 96%. woman “doorman” because she was unique. Thanks for this, Ann. I was quite surprised at the fact that 13 of 17 female members of the U.S. Senate were appointed. Do you know how many of those women, if any, were replacing husbands or male relatives? I have long advocated that the Green Party focus much more attention on voting system reforms such as proportional representation, so I was very happy to see it included here! We can, and must, improve our internal processes but until the voting system itself is reformed we will hit a wall in terms of our electoral success (which I am defining here as a win at the ballot box).